Bonogurt: South of the Congo River, the Bonobos have been carefully perfecting a delectable recipe that is sure to please yogurt lovers! A perfectly balanced, luscious melody of multiple berries rounded off with creamy and tart yogurt. MacaRaz: The macaques love their fruits, but also their pastries! MacaRaz unites these two with a delicious intricate confection of French macaron, nutty almonds and raspberry filling. Perfect for an exquisite treat on the go! 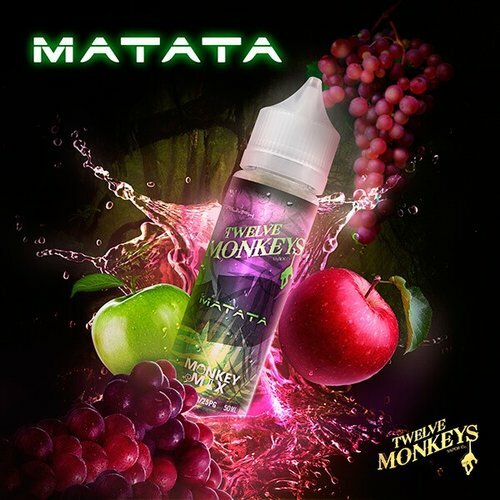 Matata: Matata raised Kanzi and knows a thing or two about delicious fruity vapes. Big, bold grape on the inhale, followed by a smooth, ripe apple exhale. This bright and succulent blend will awaken your taste buds all day, every day. 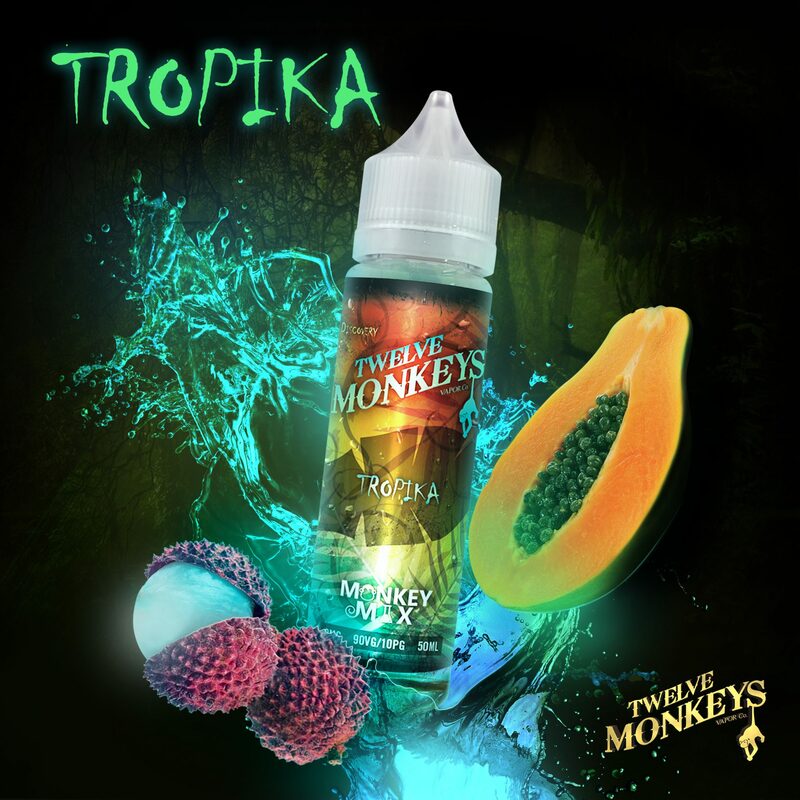 Mangabeys: Tropika’s Caribbean cousin has arrived! Mangabeys is related in concept yet distinctive in flavour. Mangabeys will transport you to the sunny carefree shores of the Caribbean islands. This bright and fresh blend of Pineapple, Guava and Mango is accented by a myriad of Caribbean fruits and is the perfect companion for a day basking in the warm tropical sun. 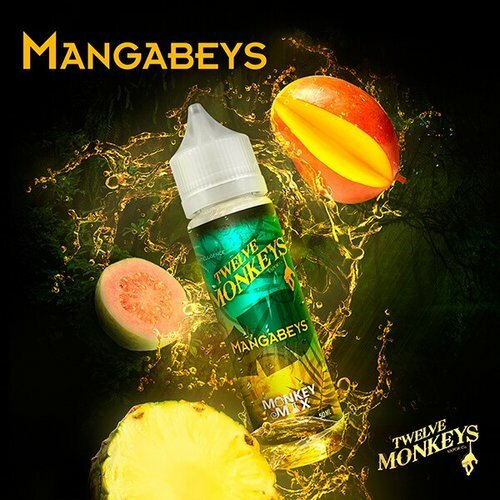 Let Mangabeys’ Caribbean specific fruits give you a taste of the island lifestyle! 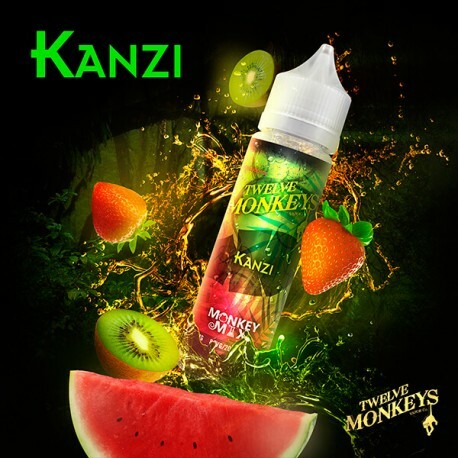 Kanzi: A Primate with a sweet tooth; Kanzi has a taste for only the best fruity flavours. This fusion of strawberries, watermelon and a hint of kiwi is sure to please the most discerning fruit connoisseur. Kanzi is a mouthwatering fruit concoction that is sure to salivate any palate. Perfect accompaniment to Kanzi while winning a game of Pac-Man. Congo Cream: This tantalizing recipe incorporates two distinctly different creamy vanillas to elevate the flavour of handpicked, fresh strawberries. Experience the taste of this sophisticated cream that has evolved to become a unique treasure. Harambae: Harambae features a tangy citrus unison of grapefruit highlights fused with lemon, lime, blood orange and refreshing guava undertones. The zesty and sharp exhale of this citrus synergy will be the saviour to your taste buds when everything else feels dull! 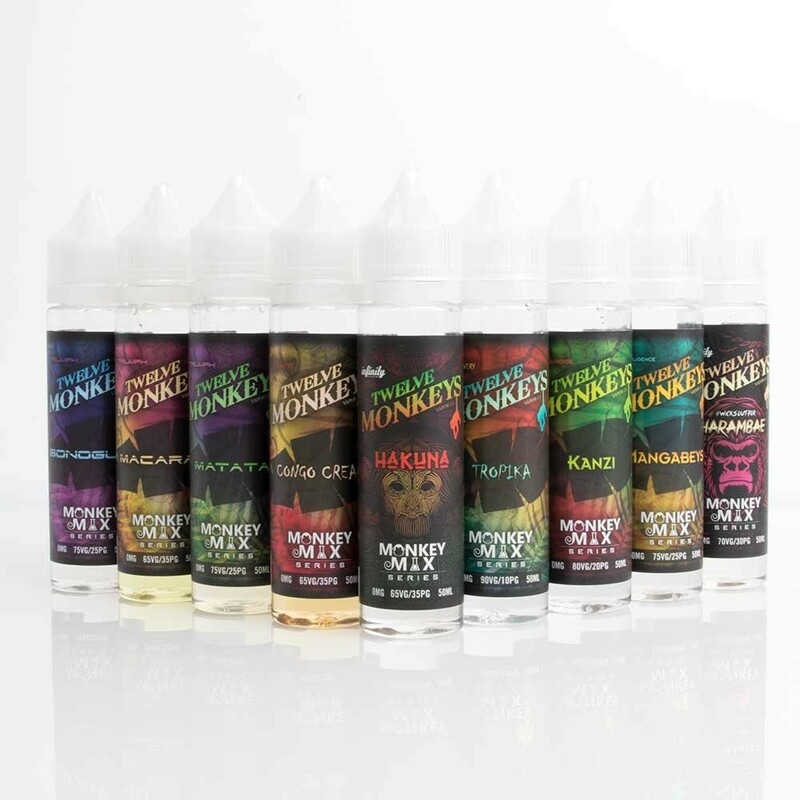 Hakuna: Inspired by their primal cousins to the south, Twelve Monkeys has crafted a perfectly balanced vape of exotic tropical fruits combined carefully to result in one of the most palate-pleasing e-liquid blends known to man. This pleasing, but a not overpowering concoction of tropical fruits is the perfect complement for any daydreaming, beach vacationing aficionado. Sit back and give your taste buds an exotic vacation while they attempt to identify what the fruits are! Kanzi Iced : Kanzi likes to hang out at the beach and knows how to keep cool! Experience our award-winning watermelon, strawberry and kiwi blend, now on ice. Just in time for Summer! 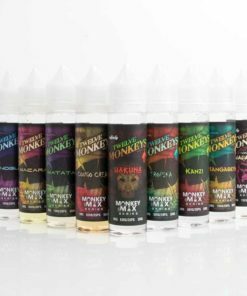 Who are UK Vape Kings? 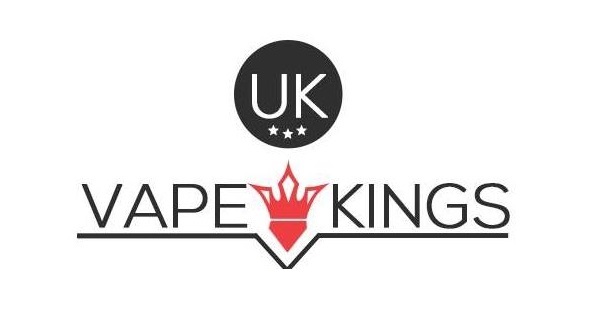 Hello and welcome to UK Vape Kings (UKVK). At the heart of our business is our customers. Without you, we have no business. Whilst all businesses will be equally as effusive about the importance of their customers, the delivery on this intent often fails to live up to the expectation this focus suggests. We are a Trusted business.